By the next morning, Flopsie & Mopsie will have eaten the carrot tops down to the stalks. 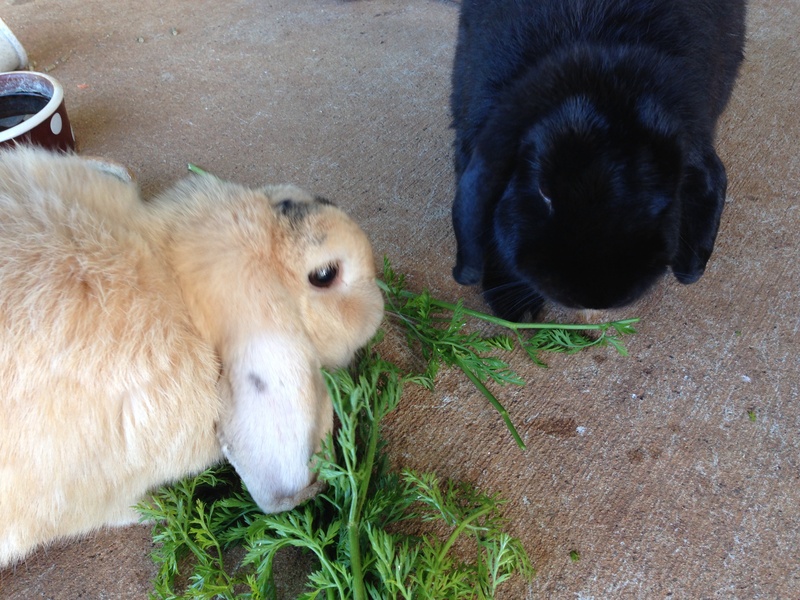 Flopsie & Mopsie eating carrot tops for dinner, one of their favorites. The way they eat it, they make it seem so delicious! Thanks to Auntie Penny who gets the tops from a vegetable vendor at the KCC open market. She thoughtfully wraps them in damp newspaper and brings them into the office.